The nineteenth century was a period of intense religious conflict across Europe, as people confronted the major changes brought by modernity. In Zurich, one phase of this religious conflict was played out in a struggle over revisions to the ritual of baptism. 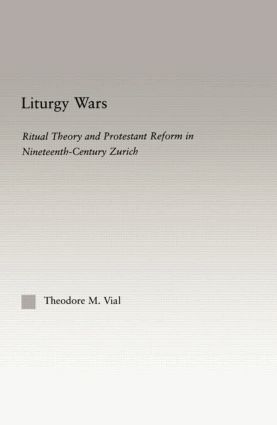 In its analysis of the Zurich conflict, Liturgy Wars offers a strategy for understanding the links between theology, ritual, and socio-politics. Theodore M. Vial offers a new perspective on contemporary ritual studies - and critiques the cognivist approaches of Lawson and McCauley, as well as Catherine Bell's analysis of power and the body - by reintergrating the imporatance of speech acts into considerations of ritual.